In this How to Guide, we will show you How to Enable Chrome’s Hidden “Reader Mode” on Your Android. There’s an experimental “Reader Mode” option available for web articles, and I’m going to show you how to unlock it. Just make sure you have the latest version of Chrome Browser installed on your device. Type chrome://flags into the navigation bar. Once you’re on the settings page, scroll down until you see “Enable Reader Mode Toolbar Icon Android,” or use the three-dot menu option for “Find in page” to jump directly to this particular flag. then tap on “Relaunch Now” to activate it. While on a heavy-content website, Chrome will now provide you with a small “reader” icon near the address bar. Tap it and the page will automatically be reformatted to exclude all but relevant pictures and other clutter that can potentially dampen the reader’s experience. 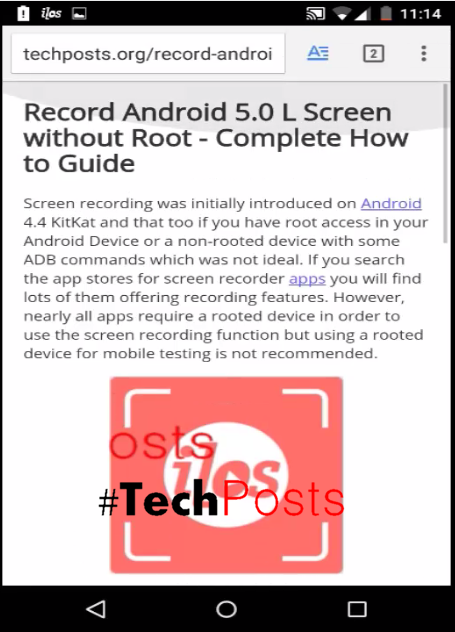 As you can see, Reader Mode removed ads, article suggestions, some pictures, and reformatted the page to fit perfectly on Android screen. If you’re an avid reader, then definitely make sure to enable this beneficial feature, and be sure check out our other Chrome browser tips and tricks here.